Traditionally, Girl Scouts and Girl Guides around the world mark February 22 by celebrating their international ties. Across the United States, troops select a country to learn about and often hold an event so that several troops may share their discoveries. February 22 was chosen because it was the birthdate of both Lord and Laden Baden Powell, who began the scouting and guiding movements. The World Association of Girl Guides and Girl Scouts (WAGGGS) coordinates relations among national programs. The organization typically chooses five countries (one from each of its administrative districts) to highlight. In recent years, it has also selected a theme so that everyone is “thinking” about the same thing. The number of Thinking Day patches offered has greatly increased over the past decade, so I thought I would try to untangle them. Girls earn fun or participation patches by participating in a World Thinking Day (WTD) event. GSUSA has offered WTD participation patches since at least the 1990s. Now they come with online, age-appropriate activity booklets. Girls must complete one activity to receive the WTD patch. Councils and service units (a cluster of troops that feed into to one or more high schools) may also create their own patch, especially if they held a specific event. There are also many unofficial (but usually beautiful) “international friendship” patches around. In 2008, WAGGGS introduced an ambitious program that aligned with the eight United Nations Millennium Development Goals (MDGs). These goals were proclaimed by UN in 2000 and were intended to eradicate extreme poverty across the world by 2015. Each year WAGGGS issued a patch whose design reflected a specific goal’s official symbol, as well as accompanying activity booklets. GSUSA used similar images on its WTD participation patches at first, but changed in 2013. Perhaps a teddy bear was considered less controversial than a pregnant silhouette. I suspect that GSUSA already had concerns about the Millennium Development Goals curriculum. Maternal health, child mortality, HIV/AIDS, and malaria were hardly warm, fuzzy topics to discuss around the campfire. Some leaders and parents refused to go along, although I doubt they had bothered to look at the WAGGGS booklets, which offered age-appropriate activities, such a hand washing to eradicate germs of any kind. This was also a time period when groups erroneously accused the Girl Scouts, Girl Guides, and WAGGGS of promoting a liberal agenda and attacking family values. I would not be surprised if GSUSA sought to put a bit of distance between itself and the global sisterhood at the delicate moment. GSUSA introduced its own global advocacy program in 2010. The Girl Scouts Global Action patch also examines the causes of extreme poverty around the world, but, according to GSUSA, it does so in a manner that aligns with the then-new Girl Scout Leadership Experience; that is, the Journeys. Sharing tea with mom certainly seems tamer than talking about burying her. The Millennium Development Goals expired in 2015, and the United Nations introduced a package of Sustainable Development Goals (SDGs) to continue the fight against poverty. The GSUSA Global Action program continues today as a way for Girl Scouts to learn about problems girls face in other parts of the world. The program draws on the SDGs. WAGGGS has offered different themes since 2015, not necessarily related to the SDGs. The three patch categories (GSUSA WTD, GSUSA Global Action, and WAGGGS WTD) currently have unrelated designs. 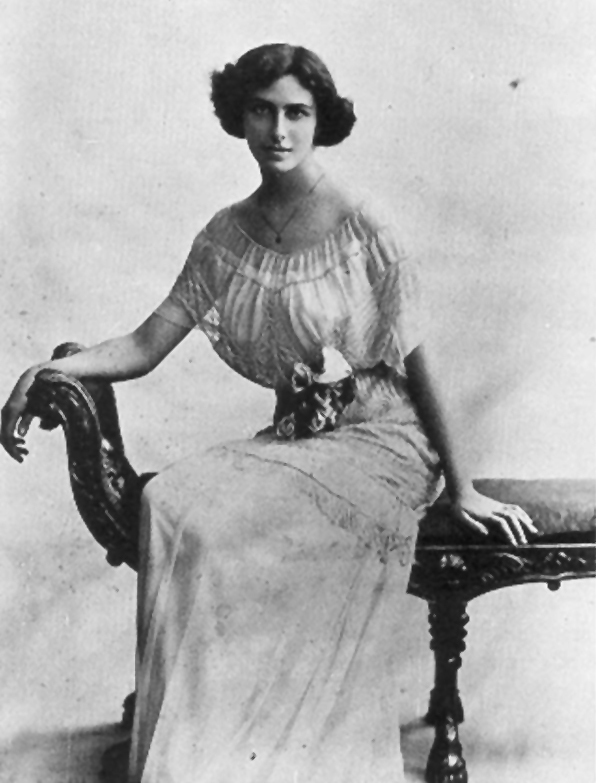 A Juliette Low Memorial Fund was established after Low’s death in 1927. It was “dedicated forever to good will and cooperation among nations of the world.” The fund was renamed the Juliette Low World Friendship Fund in 1943. Many Thinking Day celebrations collect small donations from participants that help finance the fund’s activities such as travel grants. Several councils have their own related patch programs. WAGGGS introduced this symbol in 1975. It depicts the World Trefoil at the center of a wheel of “action and direction” arrows. The Games Go Global program coincided with the 2012 Olympic Games in London. Greece issued the first Olympia badge in 2004, ahead of the Athens games. Hong Kong and WAGGGS jointly released a second Olympia badge in 2008. They emphasize the international friendship and striving to be your best that are fundamental to both the Olympics and international Scouting. Note that the patches come in gold, silver, and bronze versions! Thinking Day was established in 1926 as part of the Fifth World Conference held at Camp Edith Macy in New York state. I recently learned that between 1930 and 1970, Lady Baden-Powell flew 487,777 miles across the globe. That’s a pretty impressive feat, and I’d definitely like some of those frequent flyer miles! These trips included the opening ceremonies for Our Chalet, Our Cabana, and Sangam, as well as to Washington DC for the 50th anniversary of Girl Scouting celebration in 1962. This Thinking Day greeting card, from 1968, seems particularly appropriate for this enthusiastic ambassador of Girl Guiding and Girl Scouting. 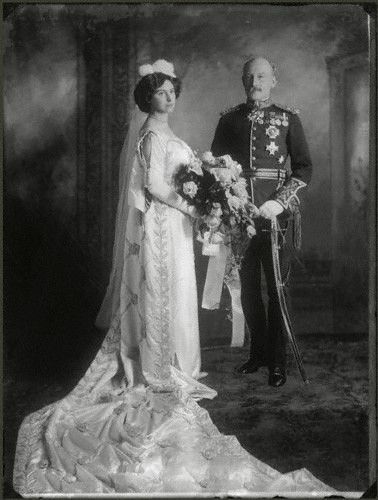 Happy Birthday to Lady (and Lord) Baden-Powell! Many committee members have visited one or more of the centres and shared some of their souvenirs. (Alas, I haven’t been to any…yet!) Most of the items came from Sandra Alexander, a member of the Friends of Our Cabana, and Joan Paull, who was the WAGGGS liaison in Washington, DC, for many years. Items from Pax Lodge (top) and Our Cabana (bottom). Items from Our Chalet (top) and Sangam (bottom). 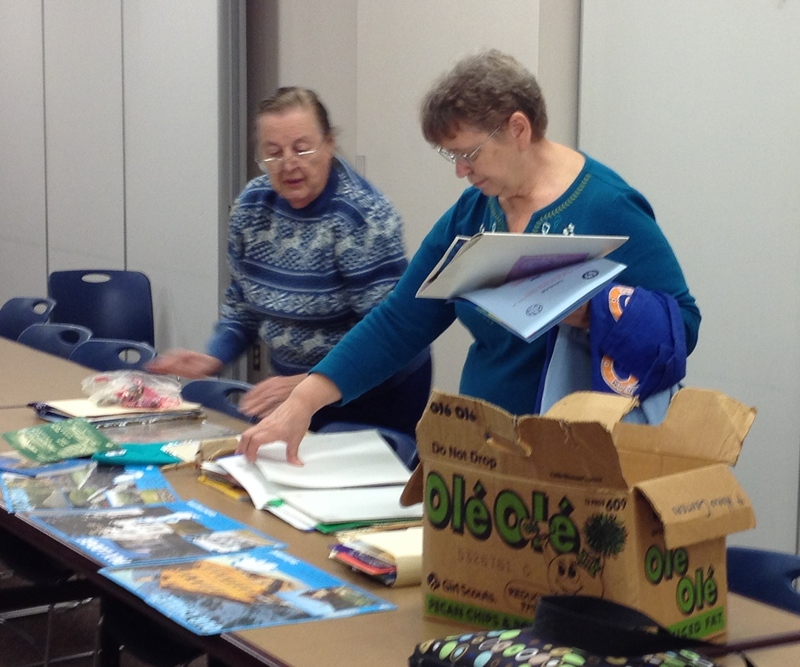 Committee members Joan Paull (left) and Ginger Holinka select items for display. For more on the World Centres, see their websites: Pax Lodge, Our Cabana, Our Chalet, Sangam.